Thank you for your interest in working with The Endless Meal! TEM was established in September 2011 and has since grown into a community of nearly 700,000 engaged monthly readers. TEM readers are 25-34 year old, college educated women who know their way around the kitchen and are always on the hunt for new ways to feed themselves and their families healthy and delicious meals. TEMs readers come from over 170 countries with nearly 60% hailing from the United States. By advertising on The Endless Meal, your brand or blog will be promoted to your future customers. Are you looking to get the word out about a new product? Need a recipe developed for your website or business? Looking for a food photographer? 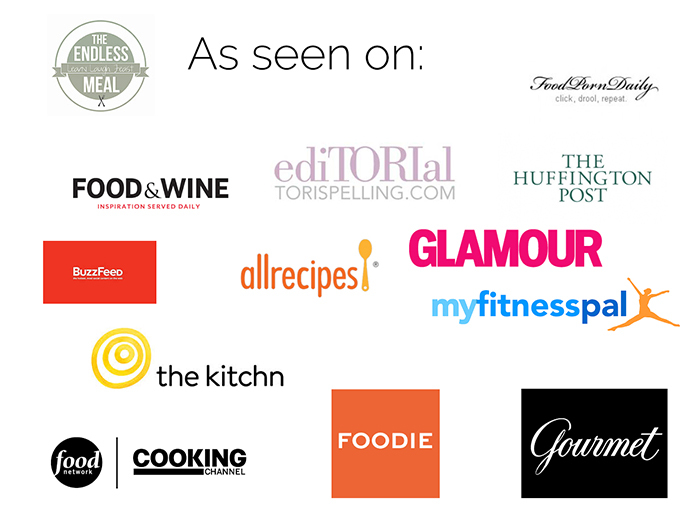 Want to discuss purchasing advertising space on The Endless Meal? See a recipe you like and want to share it with your customers? To discuss sponsored posts, giveaways, photography, recipe development, advertising or recipe/photography licensing, please send us an email. We look forward to hearing from you! Please note that TEM does not accept guest posts or publish press releases.